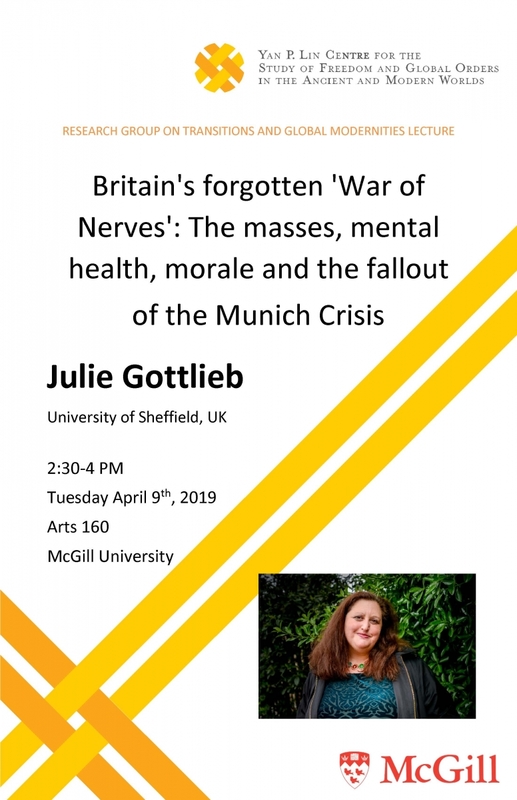 "Britain's forgotten 'War of Nerves': The masses, mental health, morale and the fallout of the Munich Crisis"
Abstract: The history of appeasement and international relations has conventionally been told as history from above. However, the Munich Crisis had a profound effect on the whole population, the emotional and psychological repercussions evident at all levels of society, across the social spectrum, and crossing gender, regional, and generational lines. The impact of the Crisis on mental health and morale was a growing concern for doctors, intellectuals, policymakers, and the state, although for different reasons and with sometimes conflicting motives. This paper seeks to retell the story of the prelude to war as a 'People's Crisis' and as the war of nerves.